Virus/Malware effects your system/PC/Laptop the most. 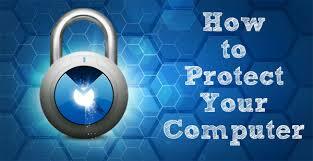 Here’s a few tips to keep your system safe from viruses. You should install the antivirus program, the very first thing after installing the OS. It’s very important in the new emerging networking trend where we are in touch base with each other via social media. Data transfer has been a daily task these days that even school going kids are hands on with. Hence it’s necessary that we keep on running the scanning software in the background while working with our system and always scan the external device like pan drive before connecting with the system. Whenever you receive any email from an unknown person always make a thumb rule that you delete that. If you think that you should check it before deletion, you should scan it properly. One simple step can save your PC and rest of the data residing there. You should check for the patches/ update in every month released by Microsoft or other vendors. Most of the time when we install any program then the wizard shows an option “check for auto update”, you can check that or later check the update manually as well. Mostly when you are connected via internet, the program itself pop up the window. OS patches are available every second Tuesday of every month, you can keep you system up-to- date by using these options. Windows Firewall can help restricting unnecessary access to your system. You can restrict specific type of access (Inbound or Outbound) based on your requirement. It also blocks viruses, worms, and hackers from attempting to download potentially harmful programs to your computer. If you are an expert you can restrict specific type of ports by making rules inside the firewall. If you mistype a URL and the website is fake then the websites might use your private information. It is important to prevent fraud and identity theft, especially if you are working on a public PC or from cyber café that you delete all your personal information before leaving the system. If you’re using Internet Explorer or any other browser, then always ensure that you are deleting the temporary and cookies files before leaving the system. Pop-up windows are small browser windows that appear on top of the website you’re viewing. Although most are created by advertisers, they can also contain malicious or unsafe code. A pop-up blocker can prevent some or all of these windows from appearing. It can easily be achieved from the Internet Explorer or related browser’s settings.